Willis Johnson patented an improved egg beater in 1884. 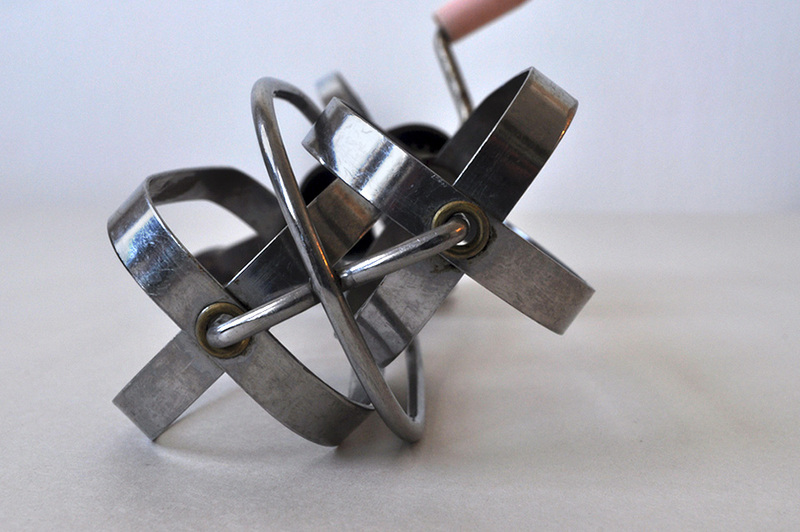 The BBC says he invented the egg beater, but about.com says he improved upon it. He was black. I would like to know if his children and grandchildren, and great grandchildren, and great-great children enjoyed the benefits of his patent. Or maybe he didn’t have kids. There isn’t an abundance of information on his personal life. I gave up after the first few pages of results though. Status: Keep. This particular object has been used in a photographic series I did in 2010, “Butterine” and may yet expand upon. Find out more about Willis Johnson. Love the photographs! It is a beautiful object. 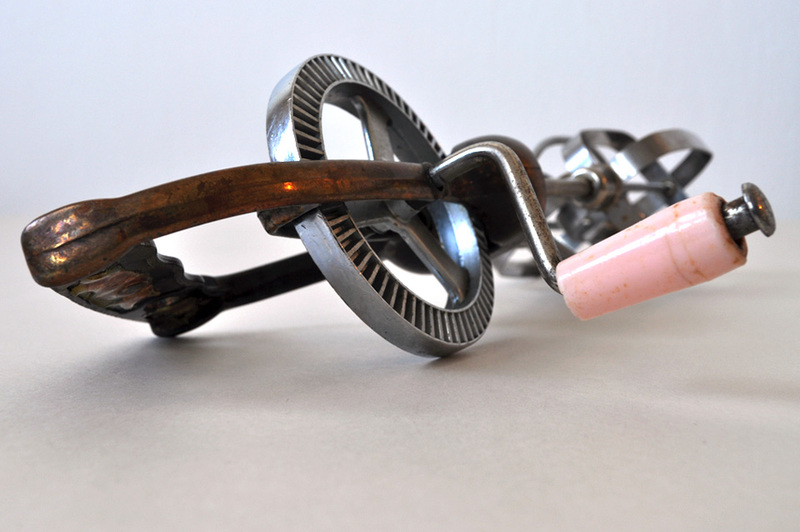 I’ve always loved the design of this eggbeater. I think it’s beautiful. Hi Nancy, yes it is quite lovely.